In this issue: a young girl sets out on a quest to claim a mysterious heritage, a starship captain must fight for her allies in a vast alien arena, and humanity is visited by little green men with nefarious intentions. All that plus a new story by Robert Buettner. Sarah Calhoun, a fifteen‑year‑old with a natural talent for hexing and one bad eye, has her world turned on its head when a Yankee wizard‑priest tries to kidnap her. Sarah fights back with the aid of a mysterious monk named Thalanes, who is one of the not‑quite‑human Firstborn. It is Thalanes who reveals to Sarah a secret heritage she never dreamed could be hers. Now on a desperate quest, she is hunted by the Emperor’s bodyguard of elite dragoons, as well as by darker things—shapeshifting Mockers and undead Lazars. If Sarah cannot claim her heritage, it may mean the end of her, her family—and the world where she is just beginning to find her place. 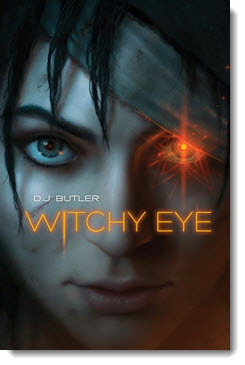 Get Witchy Eye eARC here. The Arena: a vast alien otherspace that all species were forced to enter when they discovered faster‑than‑light travel. The Arena: where the lives of entire species might hang in the balance in a single Challenge. The only thing you couldn't do was refuse to play the Arena's game. Ariane Austin and her crew had learned these lessons the hard way, and had managed to survive so far. But now a debt of honor to Humanity's oldest ally, Orphan, has come due. Ariane must travel with Orphan into the legendary Deeps of the Arena, leaving behind one of her most trusted friends and advisors to confront whatever new trials the Arena may throw at Humanity in her absence. 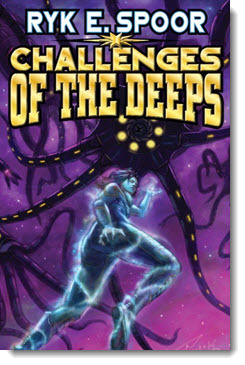 Get Challenges of the Deeps eARC here. Pete Dial is a Millennial: one of a tiny percentage of people destined to live until the ripe old age of one thousand—or beyond. In the early 21st century, Tim was a human Guinea pig for a procedure pioneered by biotech billionaire V.J. Patel. The procedure was a success—maybe too much of one. Once the rich and famous started to extend their lives indefinitely, the masses started to get jealous. Now it’s been over one hundred years since the procedure was outlawed, and Millennials have gone into hiding. So how did V.J. Patel track Pete down for a mysterious job repairing and flying an antique airplane? Where, exactly, is Patel planning to escape to? And who is he running from? To find the answers, Pete will have to risk shortening his life by a few hundred years. New short fiction by Robert Buettner set in the world of The Golden Gate. Read “The Trouble with Millennials” here. If human beings are going to leave this lovely little mud ball we call home and travel out into the galaxy, we’re going to have to adapt. Not just in our engineering of spacecraft, but in our very DNA. Life is going to be very different for humans living in the void of space or on alien worlds. In this month’s new nonfiction essay, Robert E. Hampson, Ph.D. examines what forms humanity might take to become Homo Stellaris. Read “Homo Stellaris: Becoming the People of the Stars” here. 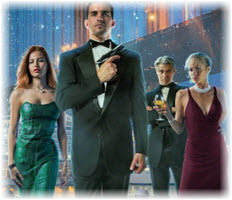 Coming soon to the Baen Free Radio Hour: Lois Bujold talks about Vorkosigan novels The Vor Game and Gentlemen Jole and the Red Queen. Larry Correia and Toni Wiesskopf discusses Monster Hunter Memoirs: Grunge. And an interview with David Weber and BuNine on the consulting group’s role in shaping the Honorverse. Missed past episodes? No problem. We’ve got every episode archived for your listening pleasure. This holiday season give the Baen lovers in your life what they really want. Head on over to the Baen Café Press store and check out our wide variety of Baen merchandise. With travel mugs, T-shirts, tote bags, and more, there is something for every Baen fan! Sarah Calhoun is on a desperate quest to claim a secret heritage she never dreamed could be hers. If Sarah cannot achieve her goal, it may mean the end of her, her family—and the world where she is just beginning to find her place. Ariane Austin must travel into the legendary Deeps of the vast galactic Arena, leaving behind one of her most trusted friends and advisors to confront whatever new trials the Arena may throw at Humanity in her absence. When Little Green Men Attack, It’s All‑out Laugh Warfare. From the far reaches of outer space they come—inscrutable aliens, malicious invaders, wacky tourists from another planet—to conquer, study, and tickle us. Includes stories by Robert Silverberg, Mike Resnick, Esther Friesner, Elizabeth Moon, Jody Lynn Nye, and many more. Collection #4 of rollicking and idea-packed alternate history tales written by today’s hottest science fiction writers and edited by New York Times best-seller Eric Flint. Contains stories by Eric Flint, David Brin, David Carrico, Virginia DeMarce, Charles E. Gannon and more. When Tim Ryan goes to live with his grandmother on a tiny island off the coast of Australia, he’ll face enemies, discover his changeling birthright, and grow from being a sulky teenager to a young man prepared to take hold of a legacy of power. 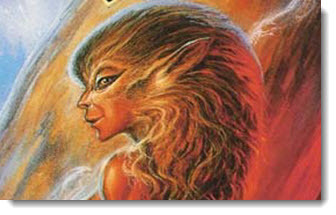 Contact had been made with the Kilrathi, yet even though they had annihilated or enslaved scores of other races throughout the galaxy and had attacked human colonies on the border worlds, the government was not taking them seriously. Commander Winston Turner knew war was looming. He only hoped that mankind would recognize its mistake before it was too late. Captain Willard Phule and his company of misfits on planetary missions that nobody wants. Interstellar warfare will never be the same. The first novel in Asprin’s hilarious Military SF spoof. It is the most unusual medical unit in the galaxy, and it makes house calls. Dr. Shona Taylor runs a fully equipped starship lab and a menagerie of very special assistants. Second in the Taylor’s Ark series. Lady Natasha Dorrington, an emancipated and brilliant detective in 1906 London, is drawn into a deadly mystery involving an ancient pagan curse and a diabolical plan to plunge the world into war. Fully illustrated. A demon-possessed spy trying to start the next global war falls in love with a psychic trying to stop it. An international modern-day fantasy. Master political novelist Drury, author of Advise and Consent, presents a thriller as relevant today as when it was first published. The Secretary of State struggles to help the President avoid a disastrous collision with a Middle Eastern dictator.